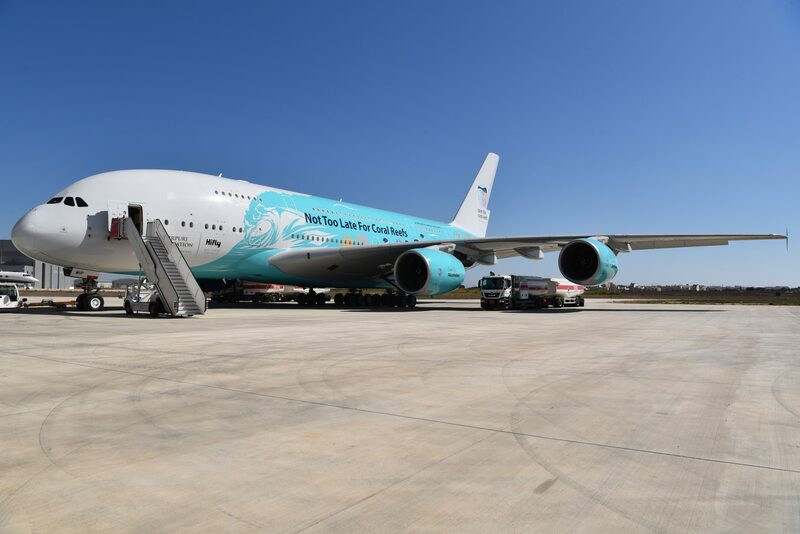 Mirpuri Foundation amplified the message of its “Save the Coral Reefs” campaign by painting a Hi Fly Airbus A380 with this coral -themed livery. 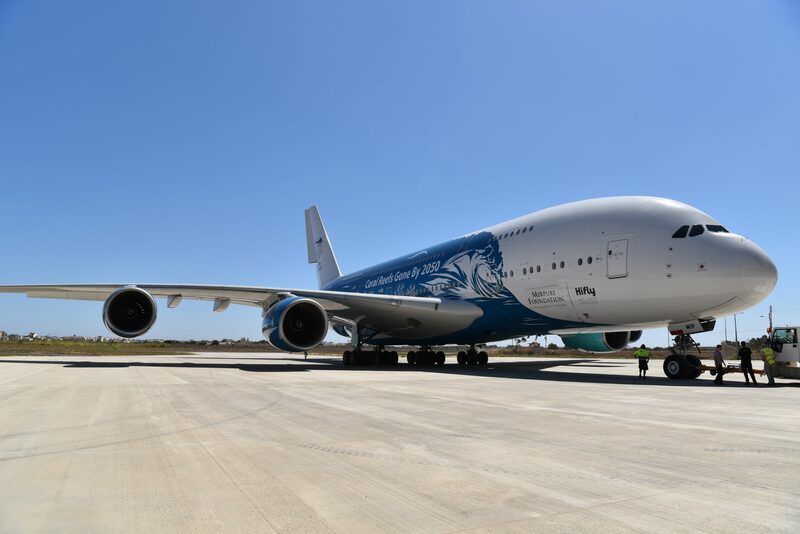 The aircraft, the biggest in the world, will be operating worldwide. AkzoNobel also joined by providing the coatings for the newly branded aircraft that will bolster the Mirpuri Foundation campaign . 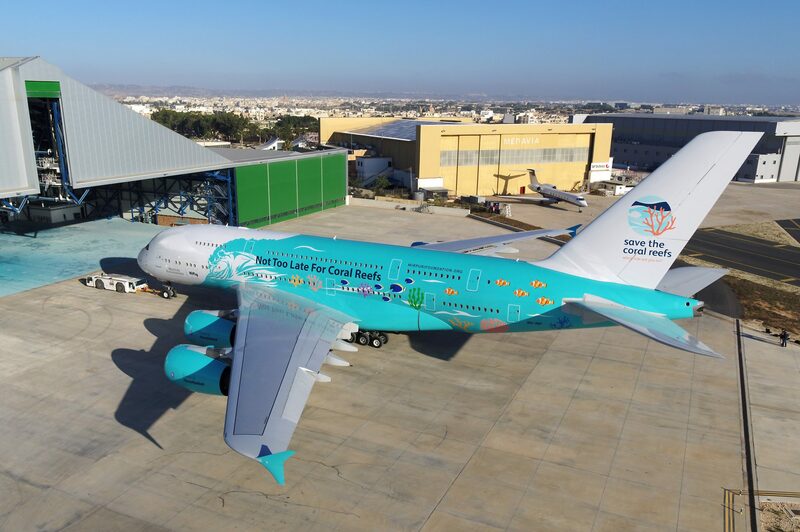 Hi Fly, an airline operating worldwide as wet leasing specialist, supported Mirpuri Foundation’s idea to carry the message across the five continents. 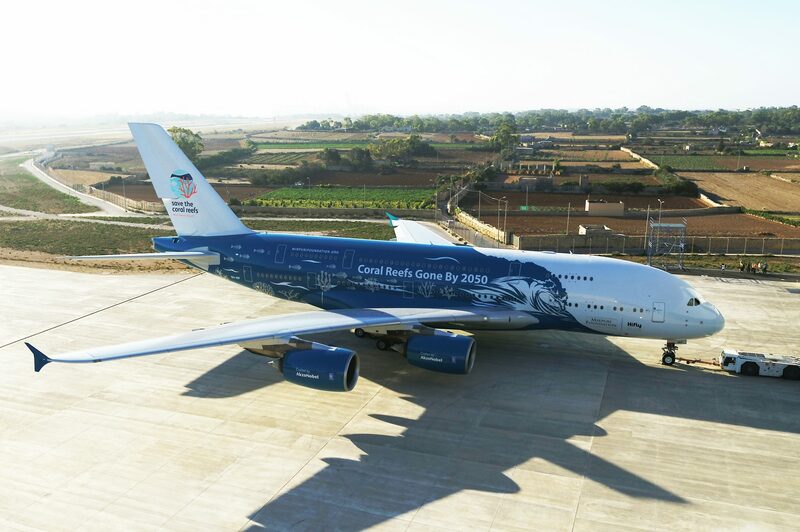 The chosen aircraft was an Airbus A380-800, which is now painted on both sides, one representing a pristine ocean with colorful and healthy marine life and the other displaying destroyed corals. The Airbus A380 also exhibits a strong statement that clearly illustrates the importance of the cause and the urgency to act and inspire the change of collective behaviors.